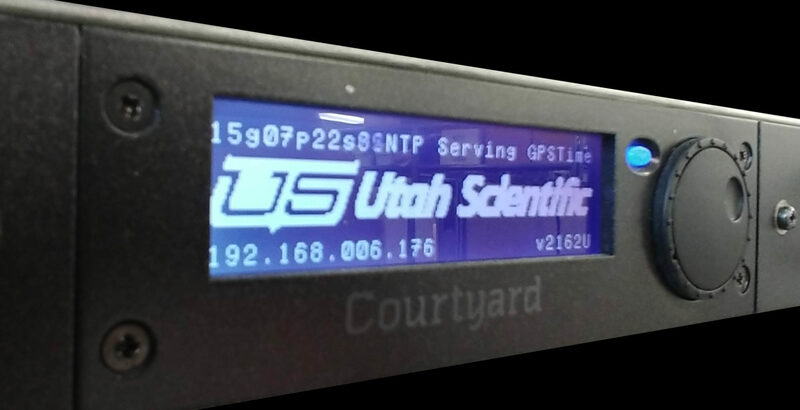 The Utah Scientific TSG-460 is the ultimate sync, test pattern, and time reference generator, designed to satisfy the requirements of every broadcast operation, including serial digital (standard, high-definition, and 3G) and mixed digital/analog environments, as well as postproduction and outside broadcasting. 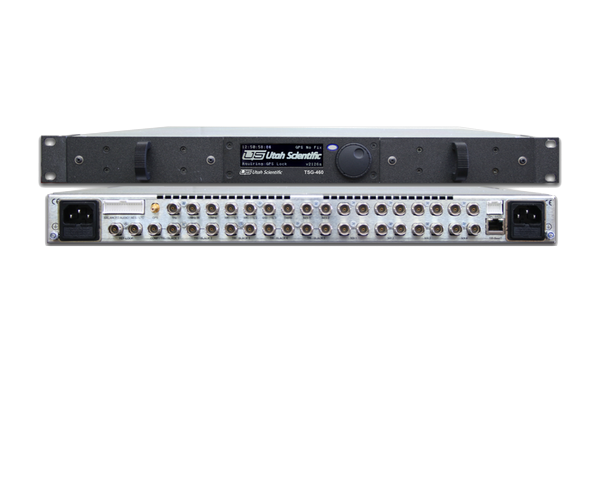 The TSG-46 provides all reference (color black and tri-level sync), timing, and test signals (LTC and VITC) – together with analog audio, AES audio, and word clock – needed to satisfy any application in PAL, NTSC, SD SDI, HD SDI, and 3G SDI, 4K UHD (Quad), and mixed-standard installations. The TSG-460 is also available with optional dual, “hot swap” redundant power supplies for maximum security. The power supplies are directly accessible from the front panel. The TSG-460 is designed for use either as a master or, when genlocked, as a slave SPG. Where it is critical to have a backup SPG, the auto changeover unit (CO-465) complements the TSG-460. This can be user configured to monitor and change over analog video, digital video, timecode, and AES/EBU digital audio signals. The TSG 460 features outstanding performance, stability and reliability and is also PAL/NTSC/625/525 switchable. The TSG 460 is also capable of providing a comprehensive range of test patterns for all analog and digital applications. In addition to that and many more features the device is capable of being configured for multiple users.